The European Space Agency (ESA) has expressed a wish to participate in the SIRIUS-19 international isolation experiment simulating the flight to the Moon, Mark Belakovsky, general manager of the project, told journalists. 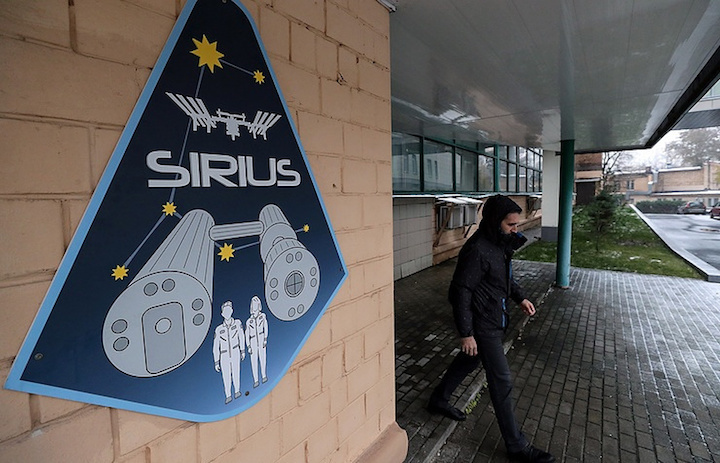 "We have received a letter from the ESA expressing a wish to participate in the SIRIUS-19 project's scientific program," Belakovsky said. On Tuesday, a mixed crew begins a four-month simulated expedition to the Moon as part of the project. The experiment will be conducted at the Ground Experimental Complex of the Institute of Biomedical Problems of the Russian Academy of Sciences in Moscow. "This four-month experiment simulates the flight of a crew of six to the moon with subsequent circumnavigation and search for a place to land, landing by four crewmembers to conduct operations on the surface, a period in lunar orbit to receive supply spacecraft and remote operation of the lunar rover to prepare the base, and subsequent return to Earth," Belakovsky said earlier. The main and backup crews are comprised of cosmonaut Yevgeny Tarelkin, Polina Kuznetsova, Anastasia Stepanova, Darya Zhidova, Artyom Knyazev, Dmitry Glukhikh, Stefania Fedyay (all Russian), Daniil Dubar (Belarus), Reinhold Povilaitis (U.S.), and Allen Mirkadyrov (U.S.). Experts from Roscosmos, RKK Energia, the Gagarin Cosmonaut Training Center, KBRwyle (U.S.), Airbus DS (Germany), and other aerospace industry enterprises from more than ten countries are involved in the experiment.